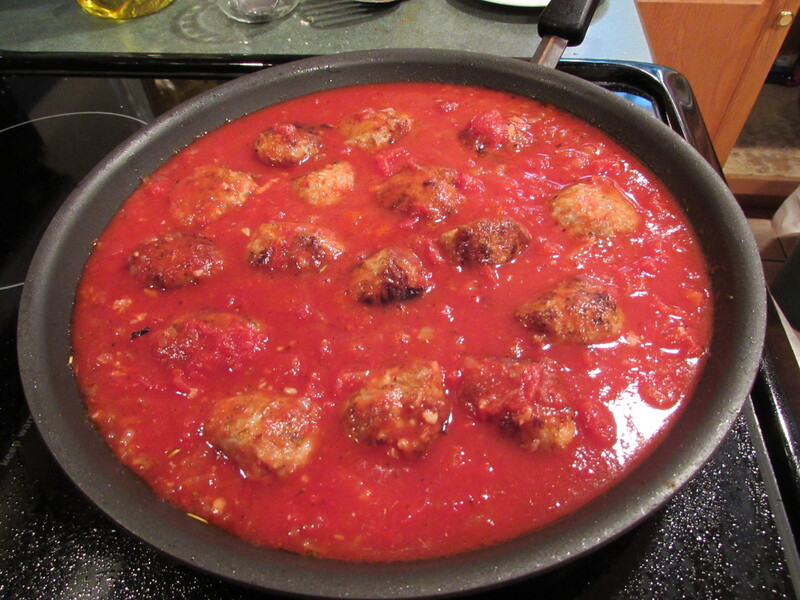 I love this recipe because it includes a very simple tomato sauce. Most of the time I have sauce in my freezer but it’s a winter/fall endeavor. 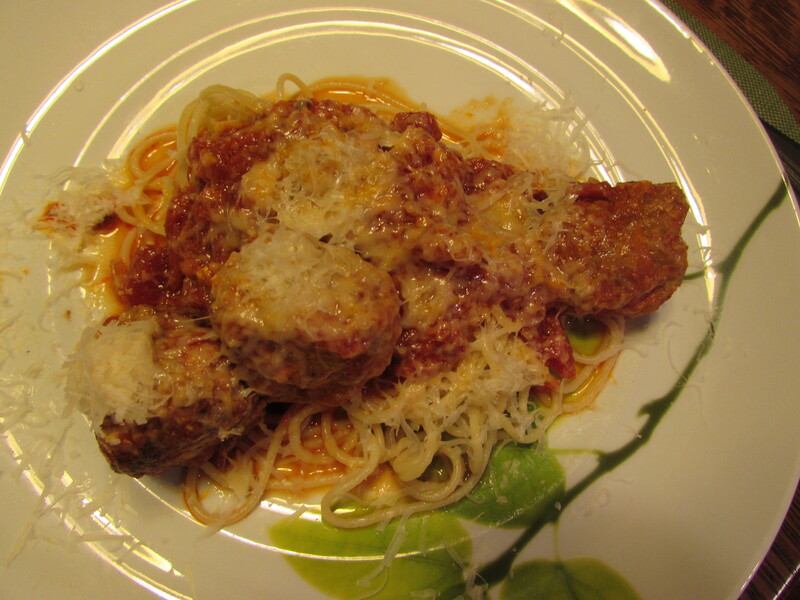 By the time early fall comes around, there is no more sauce and this recipe comes in very handy. There is never a nice handy 8 ounces of turkey or 8 ounces of pork at my supermarket, so I get what they have and then freeze the remainder for exactly an occasion like this. 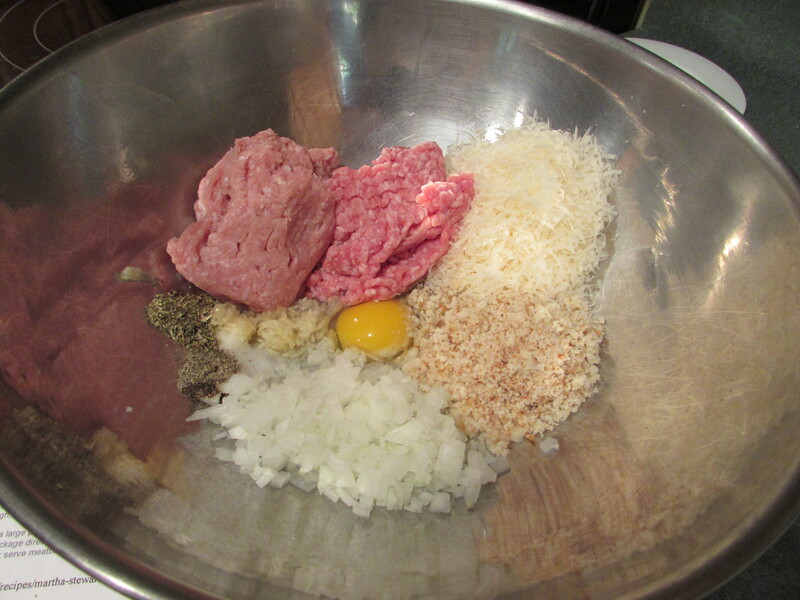 In a large bowl, add the egg, 1/4 cup water, 1 teaspoon salt, 1/4 teaspoon pepper, half the onion, half the garlic, breadcrumbs, cheese, pork, turkey and 1/2 teaspoon Italian seasoning. Mix gently with a very large fork. 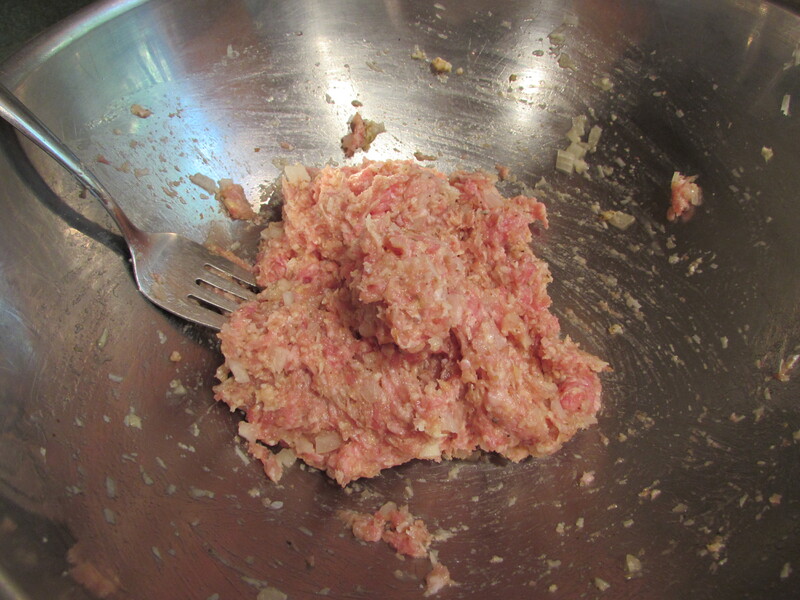 Form into 16 meatballs (an ice cream scoop comes in handy here, for making the meatballs). Heat 1 tablespoon oil in a large non-stick skillet over medium high heat. 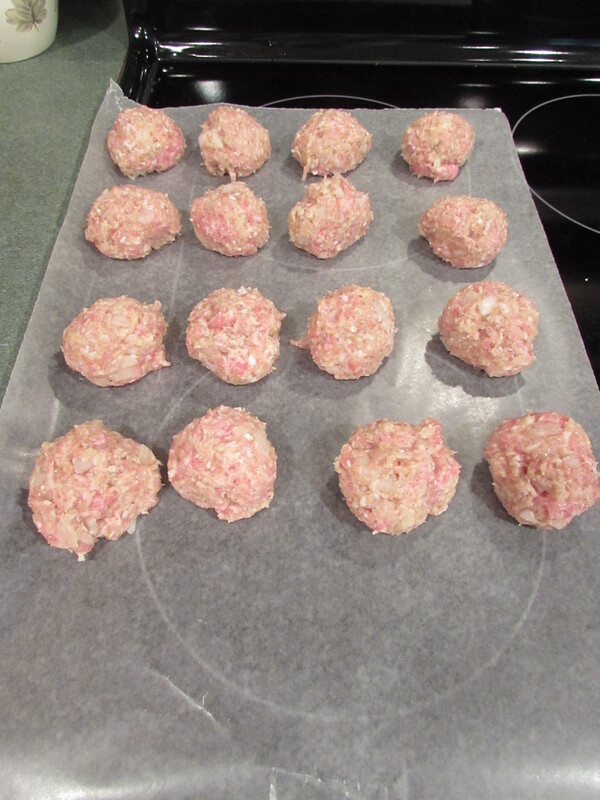 Add half the meatballs and brown on all sides, 4-6 minutes total and turning every minute or so. Transfer to a plate. 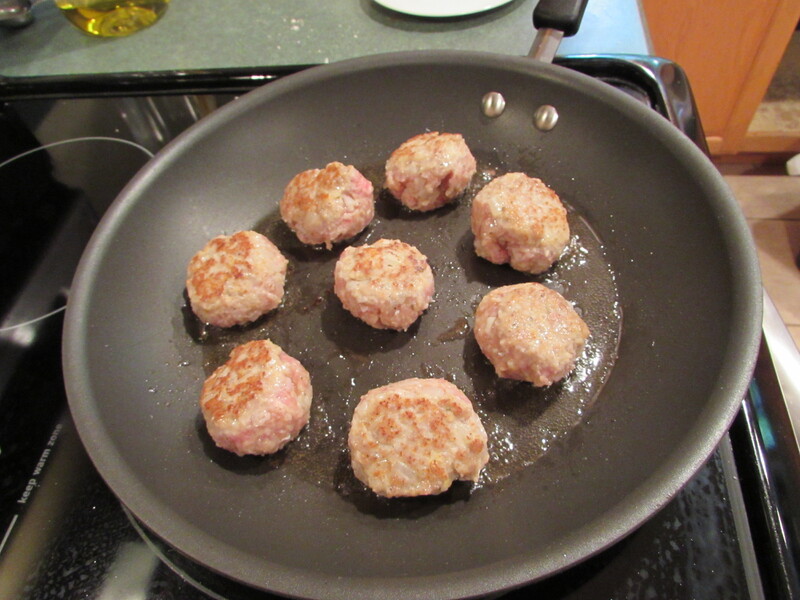 Add 1 tablespoon of oil, and cook remaining meatballs. Set aside on plate. Clean out pan using paper towels and set back on heat, adding 1 tablespoon of oil. 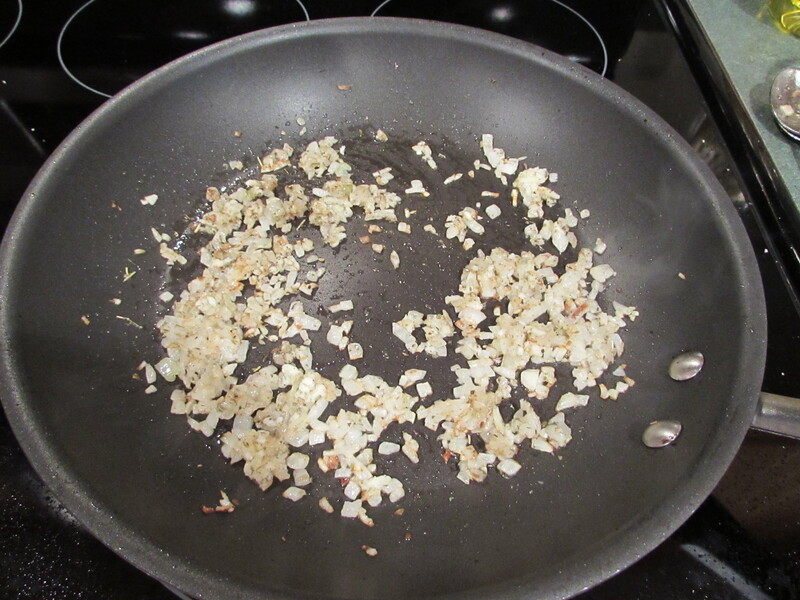 Add other 1/2 of onion and cook over medium low heat until soft, about 5 minutes. 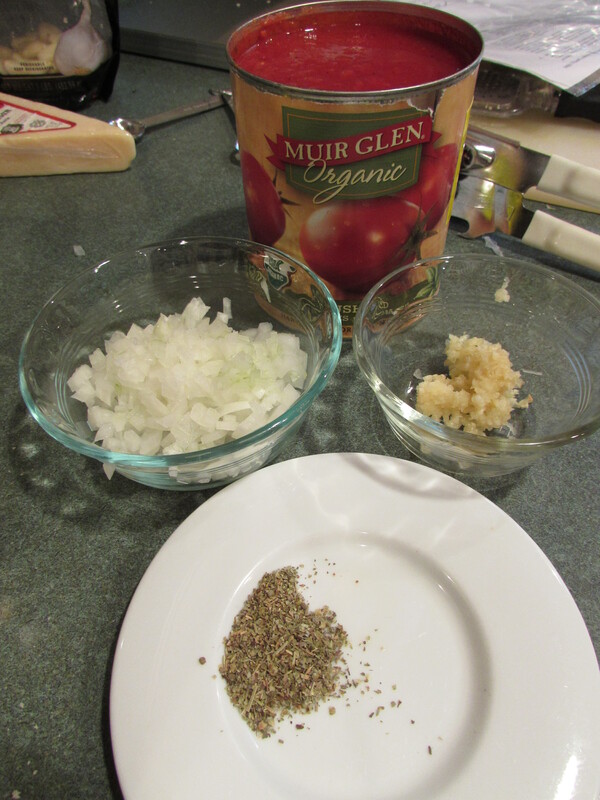 Add the other 1/2 of garlic and 1/2 teaspoon of Italian seasoning and cook 30 seconds. 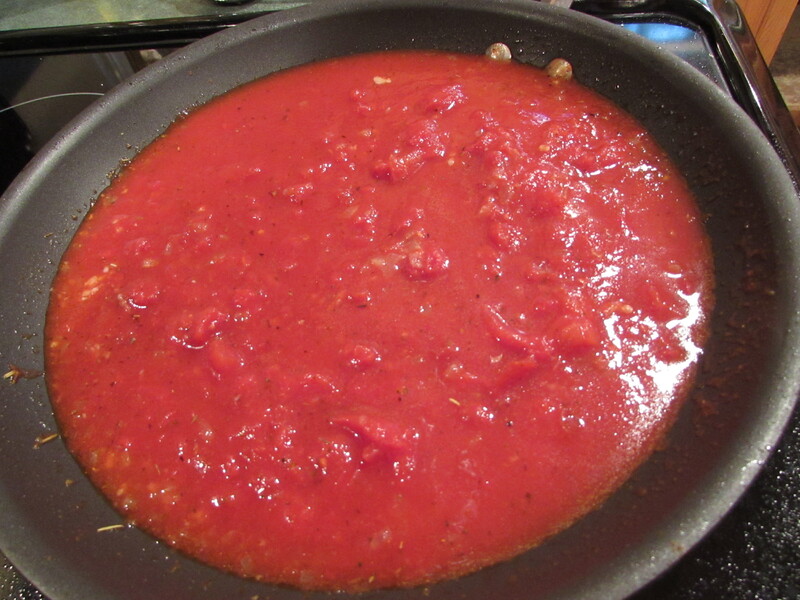 Stir in tomatoes and 3/4 cup of water. 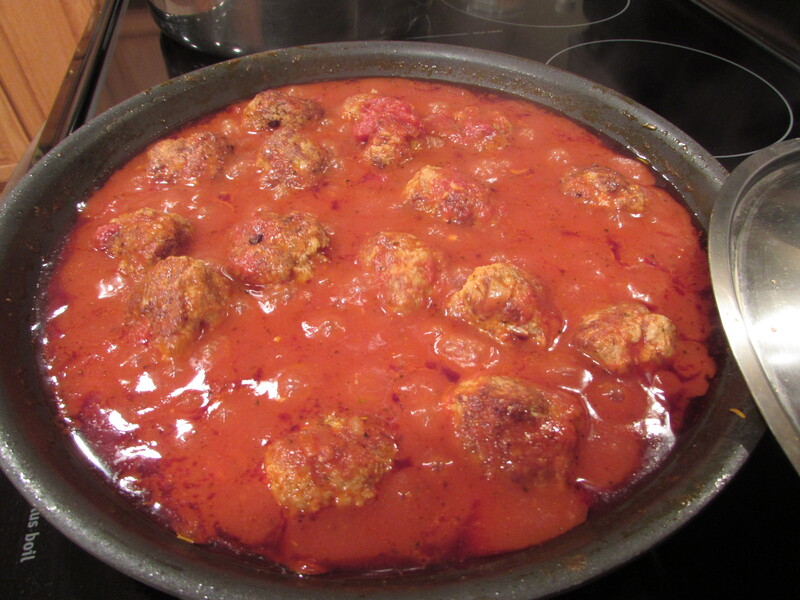 Return meatballs to pan, cover and simmer until cooked through about 20 minutes. 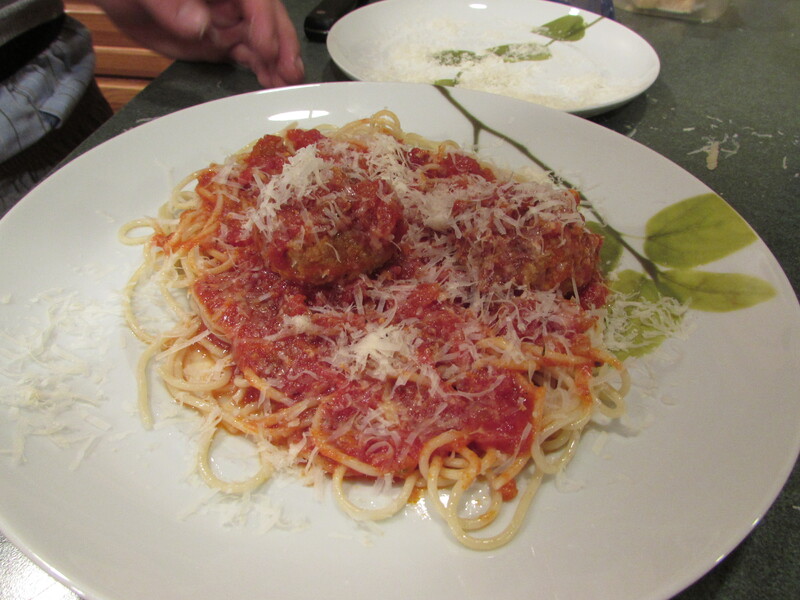 Serve over spaghetti with more Parmesan cheese.